Ms. Moseley is a graduate of the University Of Utah School Of Law. She began her practice in Salt Lake City where she focused on civil law matters, including those involving bad faith insurance practices and banking anti-trust violations. 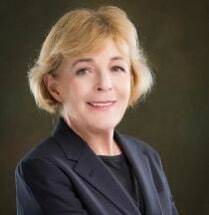 Upon moving to San Francisco, her practice grew to include air crash litigation, medical malpractice, tort litigation, and insurance defense (including workers’ compensation defense). Now as an attorney for Hanna Leung Professional Law Corporation, Ms. Moseley is dedicated to representing injured workers in workers’ compensation cases. Ms. Moseley has a background in Russian language and literature, and is also a writer and editor. She has written articles regarding the history of workers’ compensation law, and has been a copy editor for many journals, including the Journal of National Security Law and Policy. She has also acted as a copy editor for novels. In her free time, Ms. Moseley performs with a hand bell choir in San Francisco and volunteers at Raphael House, a transitional housing for families; and at the King Edward II, a transitional housing for foster youth.